On April 6th, while hearing petitions challenging the provisions, especially section 5D of the Maharashtra Animal Preservation (Amendment) Act, 2015, a division bench of Justice V M Kanade and Justice A R Joshi asked for the State Government’s explanation as to why the State only banned the slaughter of cows, bulls and bullocks and not goats or other animals. In response, the Advocate General (AG) Sunil Manohar, appearing for the Government told the bench that, "This is just the start. We may consider banning slaughter of other animals too. As of now the state felt it was necessary to protect cows, bulls and bullocks”. The main aspect of Section 5D that was argued before the division bench yesterday was that the provision makes it a crime to possess the flesh of bulls, bullocks and cows, even if they are slaughtered outside the State of Maharashtra. The petitioners claim that it violates the fundamental right to eat which is a part of the right to privacy, which in turn is a part of the right to life guaranteed under the Constitution. Representing one of the petitioners, Senior Advocate Aspi Chinoy argued that, "The Act seeks to protect cows, bulls and bullocks from slaughter in Maharashtra because of their contribution to the agrarian economy, but there is no rationale to ban the import of beef from outside Maharashtra where they have been legally slaughtered”. 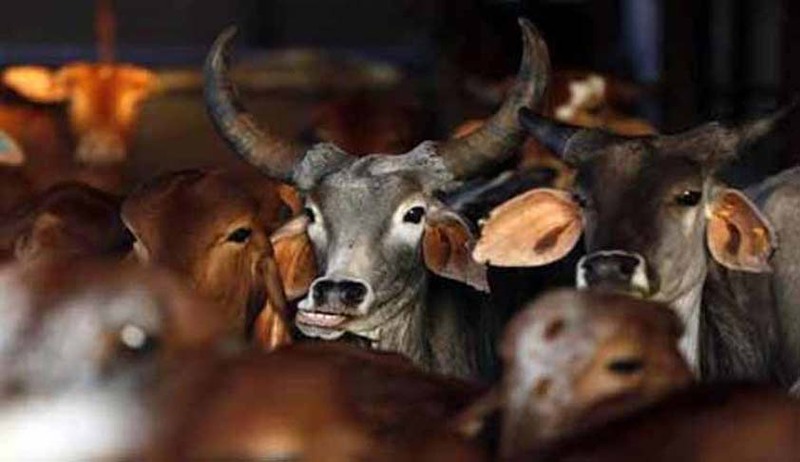 The AG replied by stating that, “The law is based on the directive principles of the Constitution that seek prevention of slaughter of cows as well as the rules that seek prevention of cruelty to animals. The purpose is to promote a sense of sympathy in citizens for such animals. If it deprives some people from consuming beef then that is just incidental....Article 21 should be balanced by considering the Directive Principles of the state and enacting laws”. The High Court has scheduled April 20th as the next date for hearing this matter. Read more news on this issue here and here.